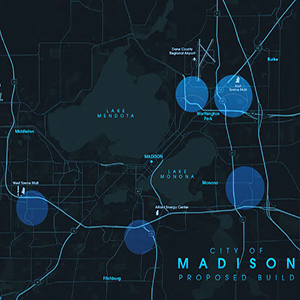 A new fiber internet expansion project, aimed at providing businesses 1 gigabit internet service, is now underway in Madison, Wisconsin. TDS Telecom made the announcement this past week. “Fiber-based internet service simply makes everything faster. For businesses looking to grow and provide the best service possible, high-speed Internet service can make all the difference when it comes to being successful,” said Julie Maiers, vice president of Marketing and Product Development for TDS. The news comes on the heels of other recent TDS updates. TDS just announced plans to build a fiber network in McFarland and Oregon, Wisconsin earlier this week. In 2017, TDS also deployed a fiber network in Sun Prairie, Wisconsin. “We’re proud to continue investing in the communities we serve. Bringing world-class technology to businesses right here in our backyard is a win-win,” said Maiers. Installations of the new Gig service will begin this summer. For more information, and to see if their business is in the planned upgrade/installation area, businesses can visit TDSFiber.com and search their address. Mike works on the Corporate Communications team at TDS and is the manager of the TDS Business Blog. He has a passion for all things business, storytelling, and teaching. Mike attended Edgewood College and earned degrees in English Literature and Journalism, while competing on the Men’s tennis team. He recently completed his Masters in Sustainability and Business. With his newfound free time, he plays music, tennis, and reads (a lot).